Lord Charlemont had met and befriended Sir William Chambers in Italy while Chambers was studying roman antiquities and Charlemont was on a collecting trip. Years later Charlemont had hired Chambers to design his Casino on his family estate at Marino outside Dublin. 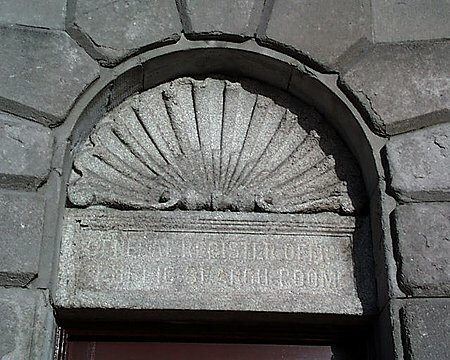 When the need arose for a residence in the city Charlemont turned again to Chambers who produced the designs for Charlemont House finished in 1763. The house now the Municipal Gallery of Modern Art consists of a single block of five bays with curved screen walls to either side. 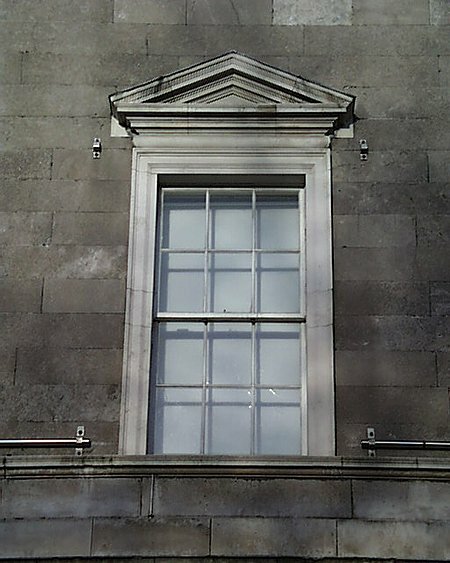 The house breaks up the regularity of this side of Parnell Square as it is set back from the other houses. 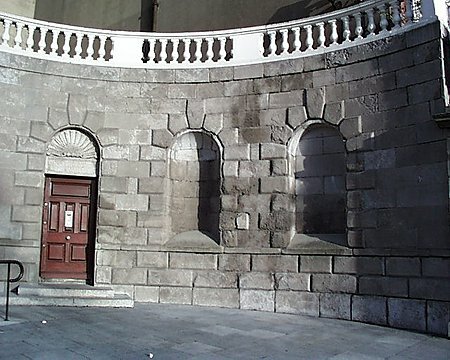 The original ground floor plan now destroyed had a central vestibule with a staircase placed in a curved bay. There was also a long gallery and pavilion designed to hold Charlemont’s large and important collection of books and antiquities. The space between the pavilion and the main house has now been filled with galleries. Charlemont’s extravagant building and collecting left his estate in financial difficulties and his successor the 2nd Earl sold everything but Charlemont House, the Casino and Marino house. 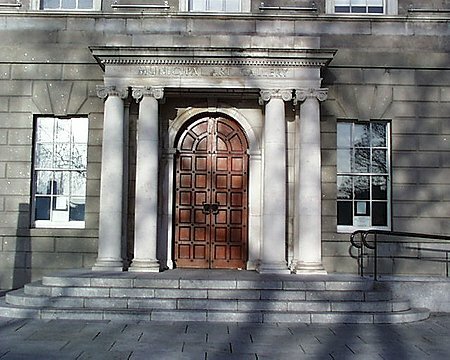 The 3rd Earl however sold the library which was described as: the finest private library that Ireland is ever likely to see and one of the finest ever brought together on this side of the atlantic. 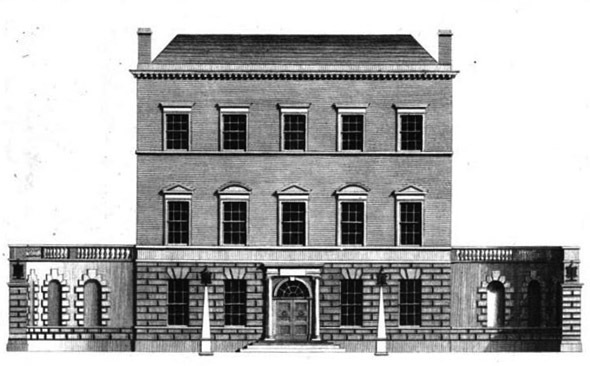 Charlemont house was sold to the government in 1870 becoming the General Register and Census Offices for Ireland and later the Municipal Gallery for Modern Art – a development that Charlemont would undoubtedly would have approved.